Trained and experienced HR recruiters who are experts at sourcing talented Human Resources professionals. National scope, local HR recruiters. As a leading team of national HR recruiters, we take our job seriously. 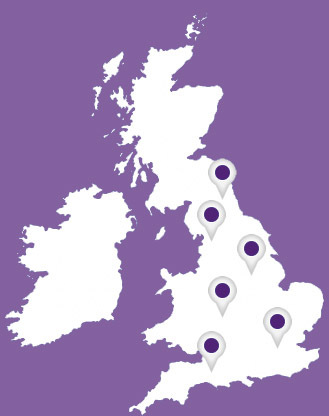 Our regional network across the UK means that we have a truly local focus, with a nationwide knowledge base. We take pride in delivering outstanding results, and the depth and breadth of knowledge of every HR recruitment consultant we employ enables us to provide the best care to both candidates and clients alike. Our passion is in providing quality results by sourcing the right people for each job, and ensuring that the process is managed with true professionalism and flare from beginning to the end. Getting the most out of your HR recruitment consultant means having someone who understands your market and its pressure points. Our highly trained and experienced HR recruiters have this knowhow across key business sectors and specifically pertaining to HR recruitment, positioning them as genuine experts with strategic insight into sourcing the best candidates for each vacancy. And because we are an established HR recruitment agency, we are able to hit the spot and deliver outstanding results for our candidates and clients each and every time. Get in touch to find out how our expert team can help you to find the perfect HR professional today.